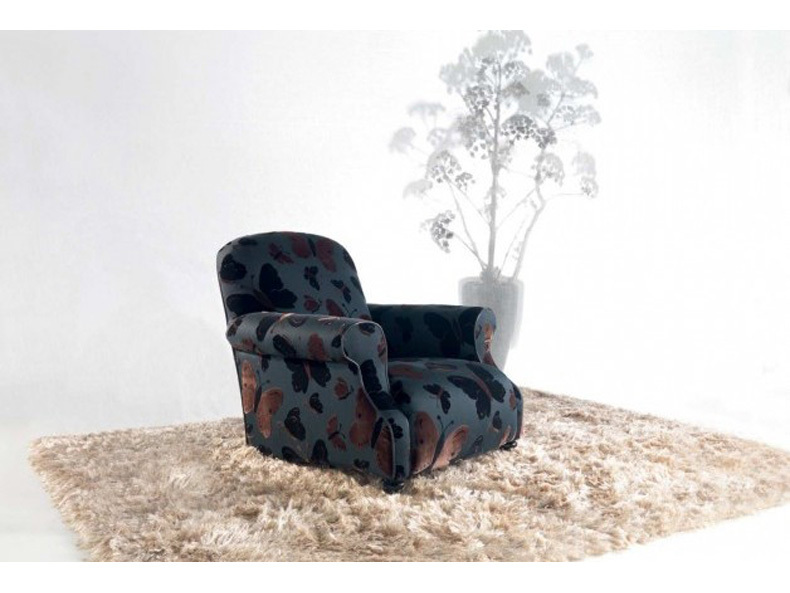 The Butterfly armchair, a remake of the classic reading chair, is wide, friendly and comfortable. 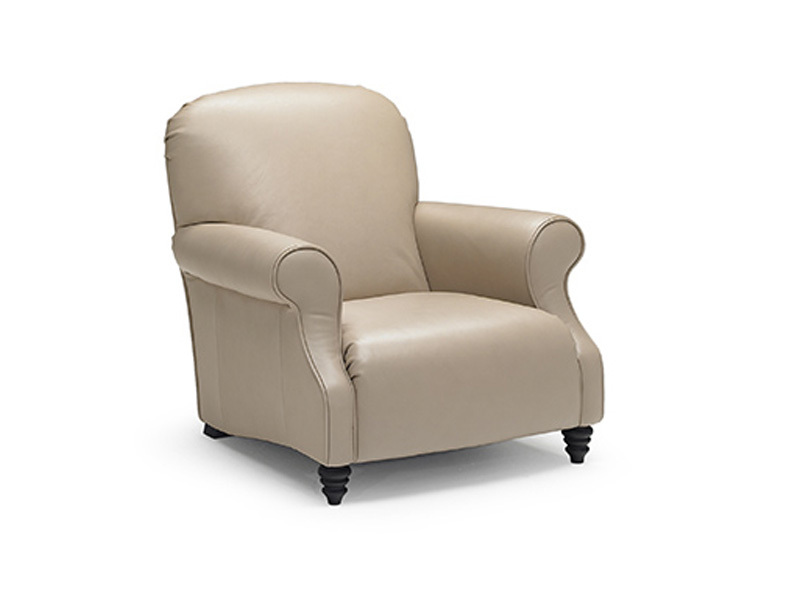 Precious are the details of craftsmanship, the seat with perfect proportions and the soft and reassuring shapes. Its name is invoked in the unique covering with large butterflies. 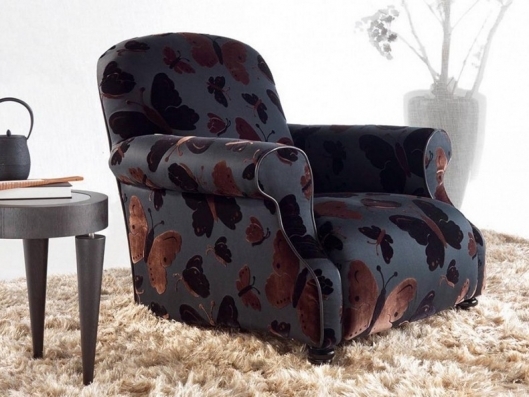 Also available with a leather-fabric mix covering.